"Microsoft wants the Surface Book 2 to be your only PC. 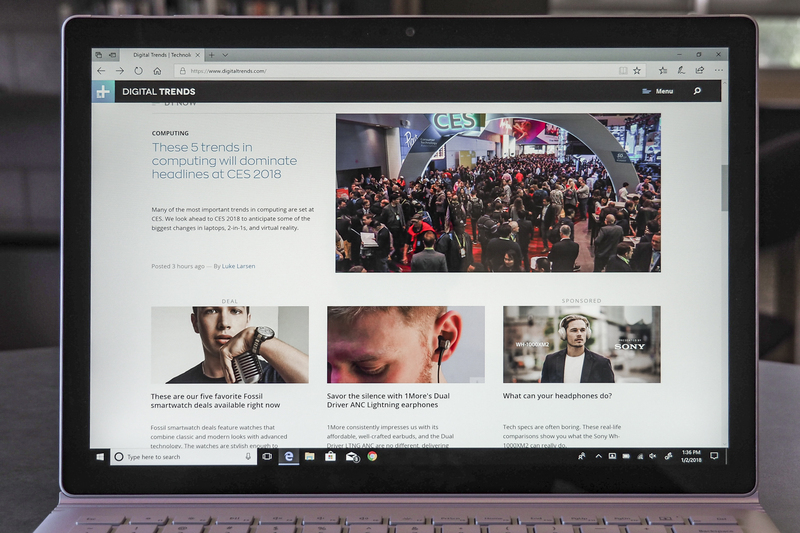 Its website calls the Book 2 a “versatile laptop, powerful tablet, and portable studio in one,” going on to tell users it will “speed through intensive tasks,” and even handle Windows Mixed Reality. It’s an appealing idea. I’ve long been a three, even four-PC guy; I have a desktop and laptop for work, and often have both at home, too. That’s a lot of computers, and while cloud connectivity has bridged most gaps between them, it seems wasteful. What if one PC could do it all? I thought the Surface Book 2 15-inch would be that device. It certainly seems powerful enough on paper. With a Core i7 quad-core processor, Nvidia GTX 1060 graphics, and 16GB of RAM, the Book 2 is quicker than my work desktop. Seeing a chance, I eagerly cleared it a place in my battlestation — but it wasn’t meant to be..."